Our skin changes over time, losing its youthful look and giving way to wrinkles, laxity, cellulite and stretch marks. 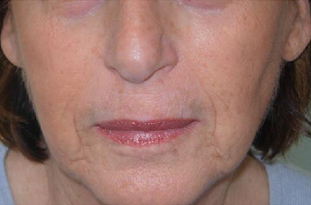 Carboxytherapy is a safe, minimally invasive, clinically proven method to rejuvenate, restore and recondition the skin. Results can be rapid and dramatic. The treatment has no downtime and a single session can take between fifteen minutes and an hour. A simple and safe procedure for beautiful, younger looking skin. Carboxytherapy is ideally suited to the treatment of stretch marks (striae), cellulite, localised fat, skin laxity, wrinkle reduction and dark circles around the eyes. It is safe to perform on any area of the body but most commonly used on the abdomen, face, neck, arms, thighs and bottom. More recently, we have been having a great deal of success using carboxytherapy for alopecia and hair restoration. As we age, blood circulation in the dermis is reduced; this means less oxygen gets to the cells. As a result, the process of creating new cells, along with collagen production slows down over time, and in some cases stops altogether. Injecting natural carbon dioxide gas under the skin tricks the body into believing it needs more oxygen. This kick starts your body’s own natural restorative processes, resulting in an increase in blood flow and new collagen and cell growth. Carboxytherapy has also been clinically shown to destroy fat cells, while making the dermis look renewed and firmer. Carboxytherapy should only be performed by a medically qualified practitioner. Carbon dioxide is a natural gas that is found in the body so allergic reactions do not occur. Specially refined medical grade carbon dioxide is used for all procedures. Carboxytherapy has been used therapeutically by the medical community for over 50 years and has therefore got an excellent safety profile. Carbon dioxide is injected using a tiny needle attached to tubing which delivers gas in a controlled flow appropriate to the area being treated. The dose infused is carefully monitored. The carbon dioxide can be delivered either warmed or cooled to reduce any discomfort. 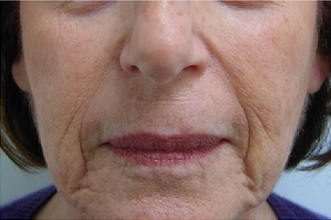 For stretch marks and wrinkles, the gas is delivered immediately below the skin and it may be possible to see the gas as is travels within the surface layers of the skin. 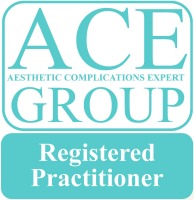 In the case of cellulite, carbon dioxide is delivered deeper into the subcutaneous tissue. Side effects are rare but can include some minor swelling, redness (due to vasodilatation of blood vessels and increased blood flow), bruising and tenderness which may last up to 5 days. When treating cellulite, there may be an aching or warm sensation for a couple of days. Most people see some improvement after the first treatment although it usually takes up to one month for the body to properly respond to the procedure. More pronounced and long-lasting results are observed after 4-12 treatments when the skin shows clear signs of healthy rejuvenation. When treating stretch marks or scars, it is normal for these to be more prominent and inflated after the procedure. Newer, red stretch marks tend to respond better and they may resolve after a single treatment although generally a course of treatments 1-2 weeks apart works best. More faded, older stretch marks generally require more sessions at 3-4 weekly intervals. When treating fat or cellulite, an initial response is often seen with a noticeable lifting effect. There is some evidence to suggest that carbon dioxide can instantly destroy fat cells and combined with the increased blood flow and collagen stimulation, over time the skin becomes firmer and fat and cellulite reduced. Several treatments are usually required and a 6 monthly maintenance session advised. Following treatment, you are able to return to your normal daily lifestyle immediately, however, bathing or swimming should be avoided for the first few hours. Rioblush® carboxytherapy involves injection of medical grade carbon dioxide gas into the skin or subcutaneous fat. 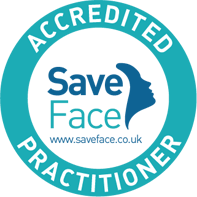 As with any injectable treatments where the skin is punctured there can be swelling, bruising or tenderness post-treatment which can remain present for several days. Stretch marks (Striae) or scars can appear raised or considerably reddened post treatment, this is normal as the process creates an increase of blood flow to the treated area and this usually settles within 24 – 48 hours. Treatment around the peri-orbital (eye) area can leave the eyes puffy for a few days and there may be an increase of fluid to the area, again this can remain present for 24 – 72 hours but resolves. We recommend that eye treatments are carried out at intervals of two weeks to allow the area to recover. Your practitioner may suggest an anti-histamine or an ice pack gently applied to the area for symptomatic relief.